You may have noticed mention on the blog and Facebook page that foodie sister Becky is expecting her first little one this fall. I'm so excited that we'll have another new nephew in the family. This will be grandchild number 15 for my parents!!! Their first grandchild is my brother's daughter, Kelly. She's the oldest of three beautiful girls. There's a 20 year span between the oldest and youngest of the six kids in our family, so when my brother and his wife had their first child, I was only 5. I thought it was so cool that I was an aunt when I was in kindergarten. Becky is just 3 years older than Kelly. With us being so close is age, Kelly was always more of a sister than a niece. So, it's fitting that Kelly is going to join us on the Chicago Foodie Sisters blog. 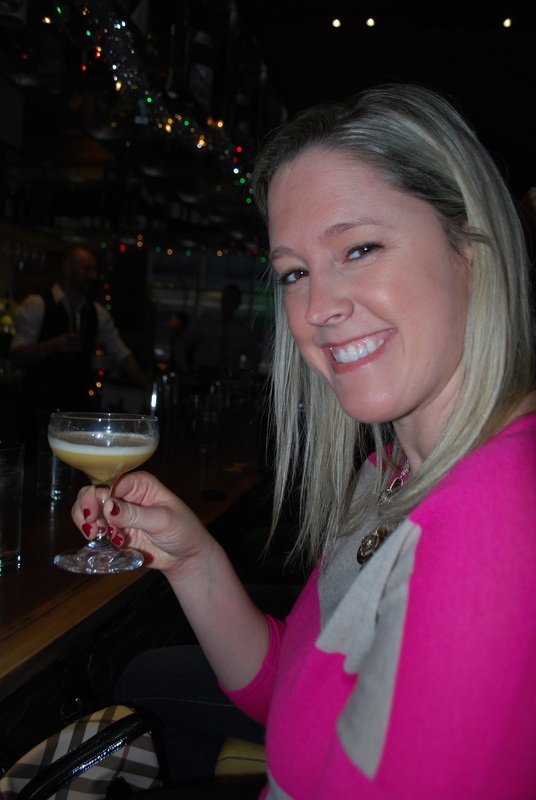 Kelly is a newlywed living in the West Loop and will offer a fresh perspective! I live in the south suburbs and dine out at a lot of Northwest Indiana and suburban spots, visit a lot of farms and farmer's markets in our area and up to Southwest Michigan and I share recipes for some of the meals I make at home for my big family of five sons. Becky is in the West suburbs and dines out often around the city and west and northwest suburbs. She's been more active on the Facebook page than the blog as of late. And knowing how busy a new baby keeps you, she will probably be lying low for a bit. So, Kelly will be filling in a gap - giving us her take on a lot of the great places in the city that she enjoys. She knows good food and is a big wine aficionado. She and her husband, Joe, married in a stunning setting at a destination wedding at a California winery. Kelly has accompanied me on some food-related media events and we have a blast together. Here we are at a sushi making demonstration last winter at Roka Akor. So, welcome aboard Kelly and look for her posts coming soon! 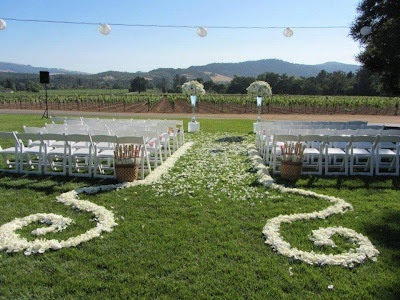 Oh, and here's a shot of her beautiful wedding setting at Chateau St. Jean in Sonoma. Though I am new to your blog I too want to welcome Kelly! From what I have seen she is going to have a lot of fun ~ the posts and recipes here are outstanding! Please consider this view #1 for the T-fal giveaway.